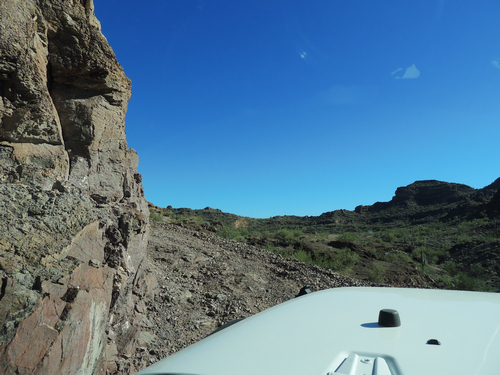 This is a Jeep trail that runs along the "frontside " of the New Water Mountain Mountains and the New Water Mountain Wilderness. 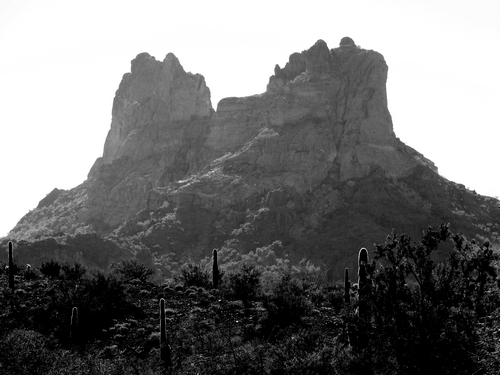 There are three spurs that lead toward the mountains. I recommend you start at the east end because this saves the best for last. 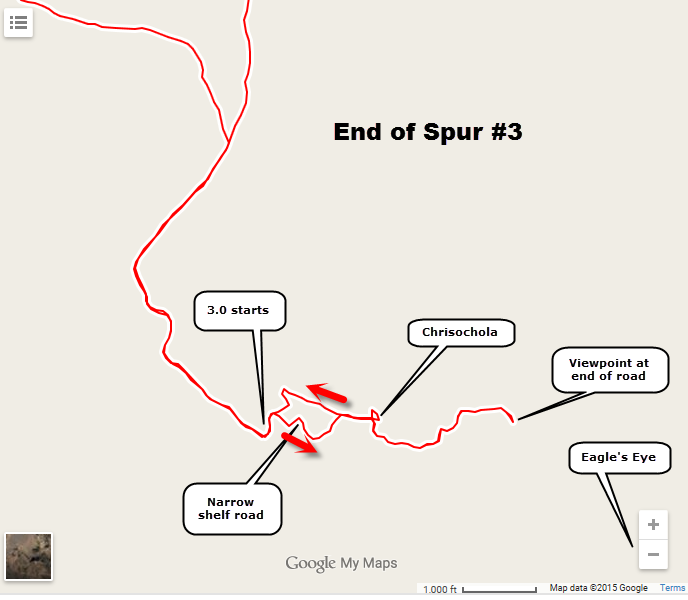 Most of the trail is rated 2.0, but the very end of spur #3 is a solid 3.0. 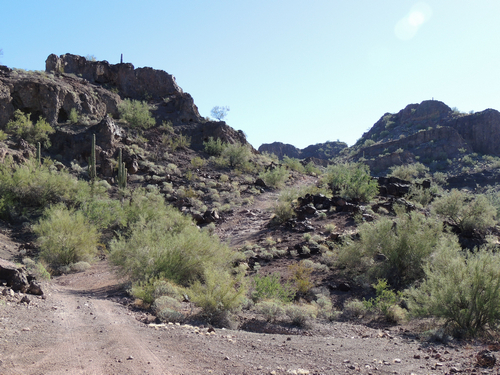 The main trail east of spur 3 is rather mundane, but the westerly portion has a bit more character. Twin Peaks is visible for much of the western section. 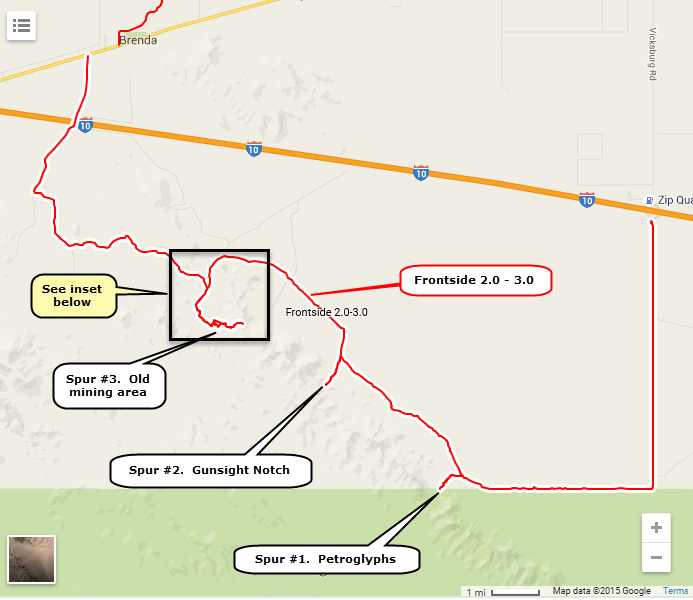 Spur #1 is a wash road leading to pertroglyphs just inside the Wilderness boundary. 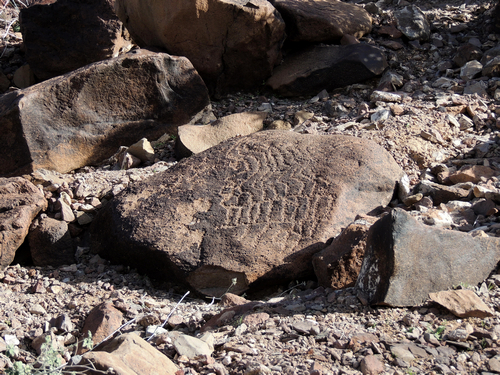 They are much simpler than typical petroglyphs, and are all on small boulders instead of big walls. Spur #2 offer a view of Gunsight Notch. Spur #3 into an old mining area is definitely the high point of the trip, pun intended. I do not know the name of this old mine. Head up into a beautiful wash until you come to a basin where the track forks. 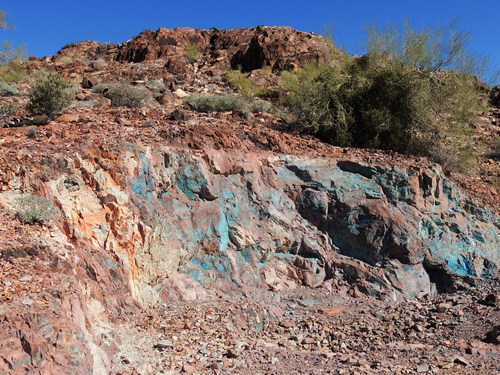 This is the spot where the trail becomes a solid 3.0. 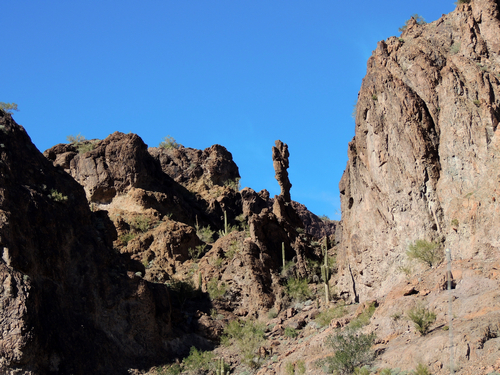 Take the right fork and you will reach a narrow shelf road that makes you wonder what is around the corner. After you get your breath back and continue on you will see a beautiful display of chrisochola. 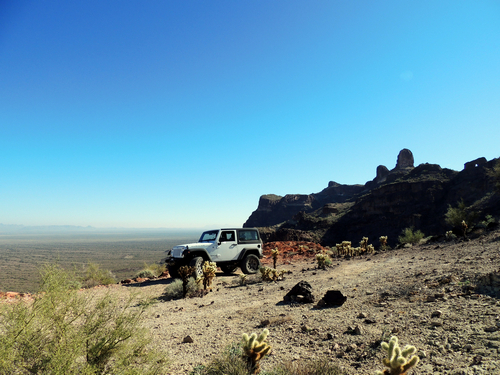 Drive to the end of the spur for a fantastic viewpoint for Eagle's Eye and the open desert you just drove through. Viewpoint. Eagle's Eye on far right.